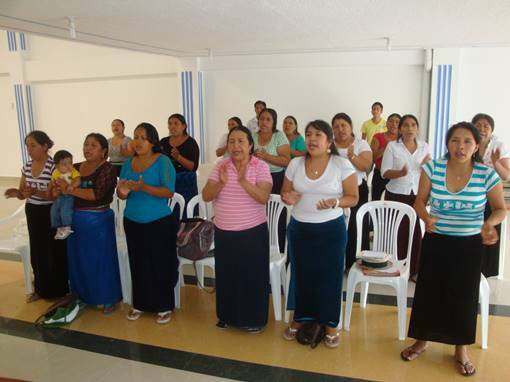 A group of new believers in a Shuar church in Chiwias, Ecuador. Jesus said, "If any one wishes to come after Me, let him deny himself, and take up his cross, and follow Me" (Matthew 16:24). Abide in Christ is being used of God in Ecuador to teach personal evangelism, and to encourage pastors and church leaders in ministry. 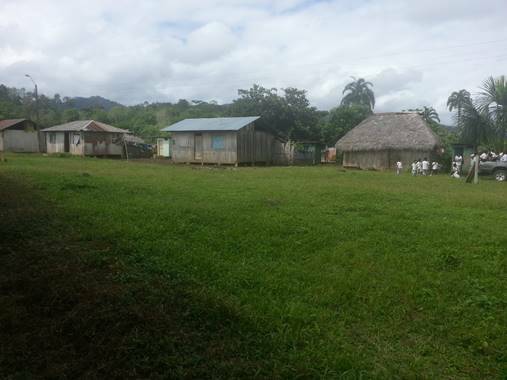 I recently spent a week with Alejandro and Damaso from Peniel Theological Seminary working with a Shuar community leader in Chiwias. Jose dedicated his life to Christ, and has a passion to share Christ and see a strong Bible believing church established in his community. 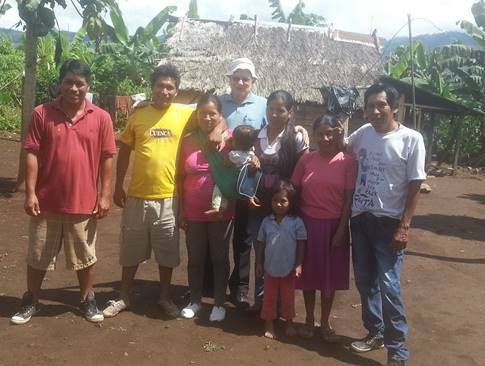 In my conversations with individuals in the community many knew "Pancho" Frank Drown who had serve as missionaries in Macuma with the Shuar indigenous group. 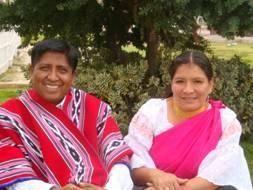 They were instrumental in taking the Gospel to the "headhunters" in Ecuador's jungles. I encourage you to read Mission to the Headhunters by Frank and Marie Drown. I first met them at their mission station at Macuma in August 1962. Go to http://missiontotheheadhunters.com/index.htm. See how God's forgiveness transformed tribal enemies. One of the individuals with whom we visited was David. He was concerned bout his wife's relationship with Christ. As I shared the plan of salvation with Blanca, she came under conviction and put her faith in Christ. Several more that same day prayed to accept Christ as their savior. 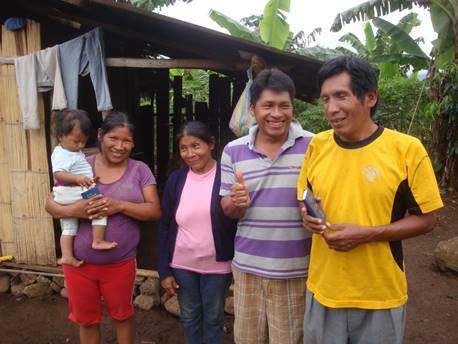 Shuar community leader with new believers. In the afternoons I taught Jose and about 25 other believers how to share the plan of salvation, and Biblical principles on Christian living. The next day as we left the home of a neighbor a man yelled out, "Why are you not coming to visit me?" He had spent years listening to missionary radio station H.C.J.B. The Holy Spirit had prepared his heart to receive Christ. 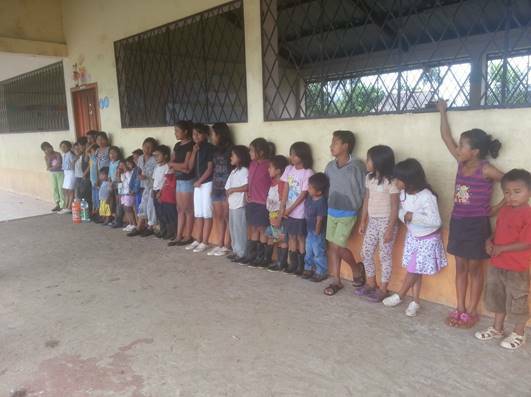 Shuar children participating in Bible study. 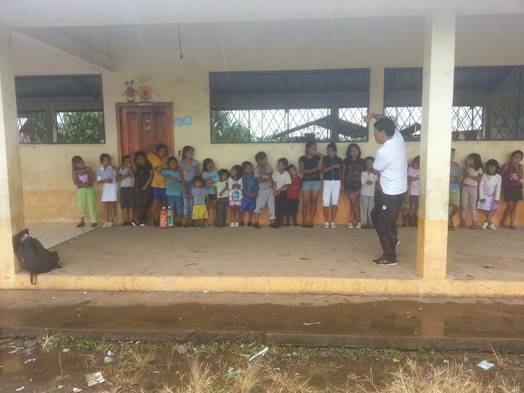 Shuar children enjoying Bible study with Damaso a Peniel Theological Seminary professor. Jose lost his job during out second day in Chiwias because he had asked his employer for time off to be with the evangelical pastors. Pray for him and his family. He has experienced the cost of discipleship. 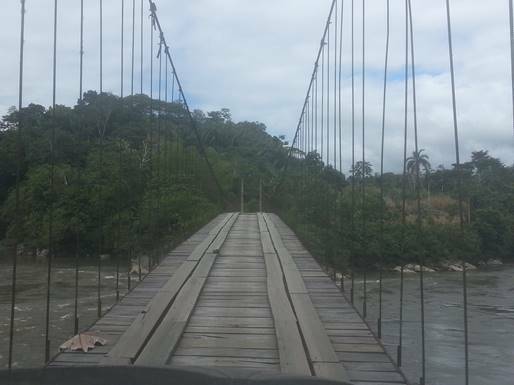 Crossing the river on a one way swinging bridge. I also taught a class on how to identify cults and how to maintain sound doctrine in the Genesis Bilingual Quichua church in Riobamba. It is a joy to see this church growing numerically and spiritually. 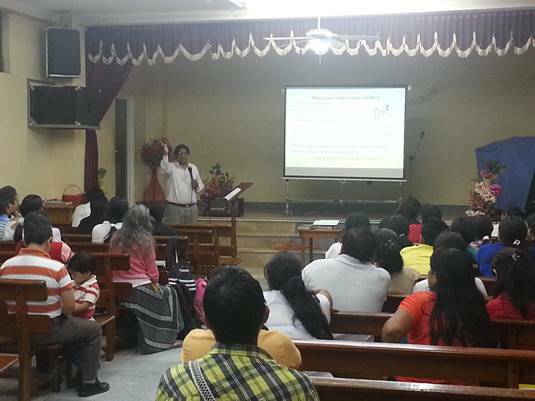 Alberto Copa teaching session on deacons at a Quichua church in Santo Domingo. 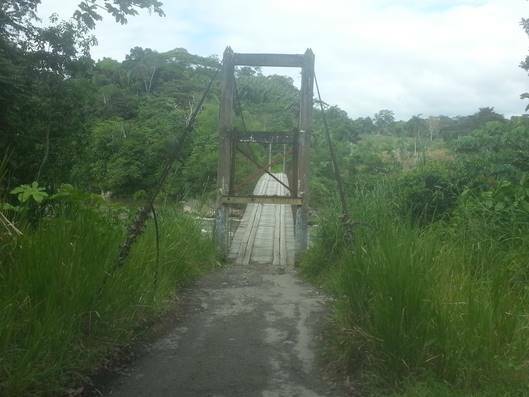 The second week Alejandro and I moved on to the city of Santo Domingo de las Tsachilas (formerly de los Colorados). 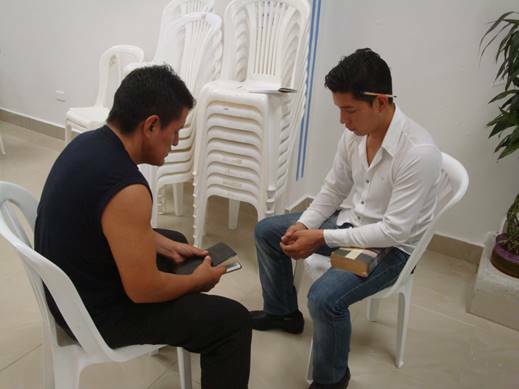 I spent each day teaching evangelism workshops to church leaders at Centro Cristiano Biligua "Yo Soy la Raiz. "These were well attended, excellent students, excellent responses. This Quichua church was started 25 years ago and has a large beautiful modern building. 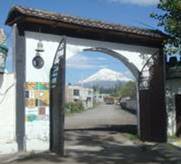 On Tuesday, I taught for three hours, three times in three different Quichua churches. Each church repeatedly asked for more instruction the next day. The night group was the regularly scheduled women's service with a good number of men attending. The church was packed out. Students learning to witness at conference in Santo Domingo. On Wednesday and Thursday Alberto Copa and I shared time with him teaching a session of the role of deacons, and I continued on the subject of cults. Alejandro shared how to witness to Catholics. On this entire trip we sensed the perfect timing of the Lord in each location. There were powerful responses in each of these Quichua churches in Santo Domingo. I also gave a presentation to the Saturday students at Peniel Theological Seminary. Plans are being made for me to continue to teach advanced theology at Peniel extensions, and to teach workshops in churches where students are pastors. 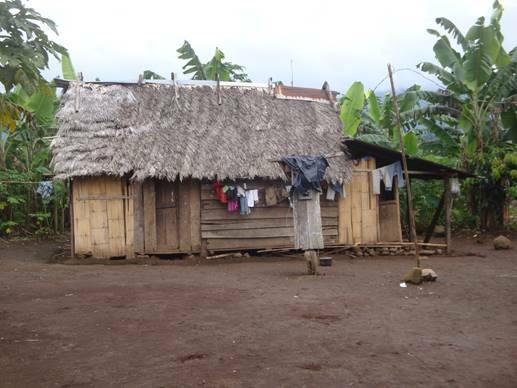 As the Lord provides I will make six trips to Ecuador in 2015. It is a wonderful privilege to serve as the international coordinator for Peniel. Quichua children learning a Bible story.